At prices that won’t soak you! 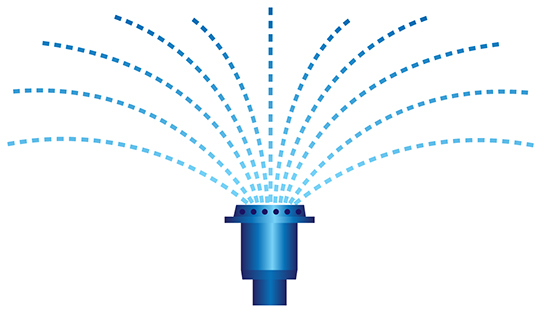 Misdirected or damaged sprinklers can waste precious water and add unnecessary cost to your water bill. 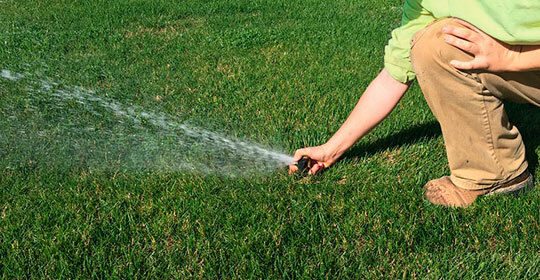 7brothers is proud to offer sprinkler and irrigation repairs as part of our overall lawn care services. We’re experts when it comes to sprinkler systems. We work efficiently and bring a level of service that’s typically only available at a higher cost from other contractors. With 7brothers you’ll always know the cost before we start. Compare our prices below and you’ll see why we’re the only call you’ll have to make. Service Call to Diagnose Repairs: $50 for single lot, $80 for double lot. Bi-Annual Check-Ups: $50 with Free pattern adjustments & clock reset included. Head Adjustments: $3 per-head. Included at no charge with a service call. Micro-Jet Hose: $1.50 per-foot, Installed. Micro-Jet Stakes with Nozzles: $4 per each Install. Donut, Pipe Cap, Plug, Sprinkler Nozzle, Micro-Jet Nozzle: $3 per each Install. Sprinkler Head Dig & Adjust: $24 per-head. 4" Pop-Up Head Replacement: $30 per-head. 6" Pop-Up Head Replacement: $33 per-head. 4" Rotor Head Replacement: $36 per-head. 4" Pop-Up Head Addition: $42 per head plus $1.50 per trench foot. 6" Pop-Up Head Addition: $44 per-head plus $1.50 per trench foot. 4" Rotor Head Addition: $47 per-head plus $1.50 per trench foot. Replace Irrigation Timer: $180 4 Zone Timer. Add $90 additional 6 Zone Module. * We provide a 1 year warranty on all parts or workmanship under normal use and service. We’re well stocked with materials common to most irrigation systems. No matter if its a broken spray head or a complex head scratcher, we’re here to help. Having the right diagnostic equipment needed for troubleshooting your sprinkler system makes a world of a difference. Our vast knowledge in lawn sprinkler repair and installation for residential irrigation systems make us the best go to company for your home or business.